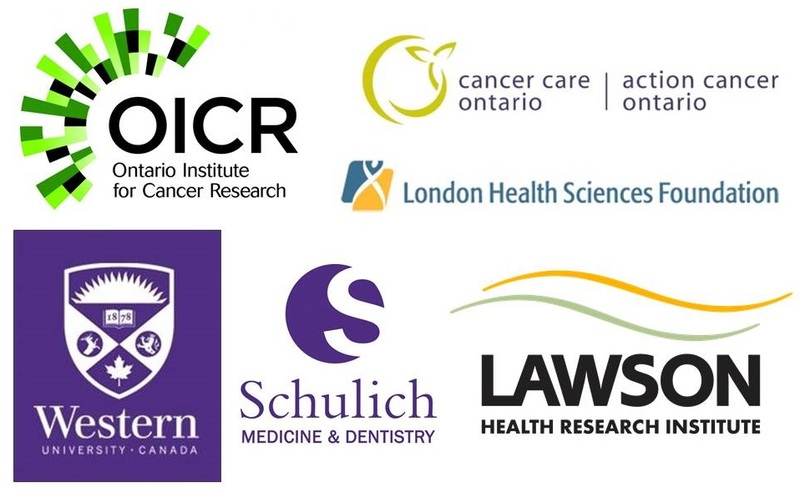 Our research team brings together postdoctoral fellows, postgraduate students in MSc and PhD programs and research support staff. We have a variety of backgrounds including medical biophysics, imaging, engineering, biology and health sciences, radiation therapy, radiation oncology, math, computer programming, epidemiology and biostatistics. ﻿Dr. Aaron Ward, PhD ﻿is an associate professor in the Departments of Medical Biophysics, Biomedical Engineering and Oncology within the Schulich School of Medicine and Dentistry at Western University. He is a Scientist at the Lawson Health Research Institute. His research interests focus on the development of sophisticated image registration and segmentation techniques based on high resolution histopathology samples to further improve image-guided diagnostic procedures and therapy for cancer patients. His other area of focus is to expand upon existing methodology to quantitatively evaluate computational methods used for medical image-based analyses. Dr. David Palma, MD, MSc, PhD, FRCPC is a radiation oncologist at the London Health Sciences Centre and a Clinician-Scientist with the Ontario Institute for Cancer Research. His research focuses on translational imaging science, including evaluating new imaging and radiotherapy technologies and running clinicial trials. He is the chair of the Canadian Pulmonary Radiotherapy Investigators Group and also runs a patient website focused on improving quality of cancer care. His clinical practice focuses on the treatment of lung cancer, head and neck cancer, and oligometastatic disease. Wenchao Han, MEng is currently a PhD candidate in the Department of Medical Biophysics at Western University. He completed his Master of Engineering in Communication Systems and Data Networking at Western University in 2013. His research interests include automatic prostate cancer detection, grading and contouring on digital histopathological imaging. Ryan Alfano, BSc is currently a PhD candidate in the Department of Medical Biophysics at Western University. He completed his BSc with Honours in Medical Physics with Co-op placement in 2016 at the University of Windsor. His research focuses on risk stratification in prostate cancer diagnosis through non-invasive multi-parametric MRI imaging techniques. His work incorporates the use of radiomics applied to predefined regions of interest for machine learning algorithms. In his spare time he enjoys video games and baseball. Salma Dammak, BEng is currently a PhD candidate in the Department of Biomedical Engineering. She has completed her BEng at the University of Guelph in Biomedical Engineering (co-op) following the Signal Processing stream in April 2017. 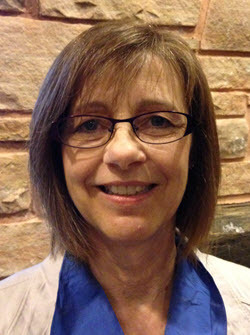 Her research builds on that of Dr. Sarah Mattonen, and it involves further developing the algorithm which allows for early prediction of recurrence of lung cancer following stereotactic ablative radiotherapy (SABR), and exploring the physiological processes behind the associated differentiating characteristics. In her spare time, she enjoys painting, soccer, and volunteering locally and nationally. Chris Smith, BSc is currently a PhD candidate in the Department of Medical Biophysics. He completed his BSc at Laurentian University in 2017 with a specialization in Biomedical Physics. While at Laurentian he played for the varsity hockey team. His research is focused on the advancement of prostate cancer high dose brachytherapy planning for focal dose escalation to dominant intraprostatic lesions defined on MRI. Chris is the recipient of the Ontario Graduate Scholarship (2017). David DeVries, MSc is currently a PhD candidate in the Department of Medical Biophysics at Western University, under the shared supervision of Dr. Aaron Ward and Dr. George Hajdok. He completed his MSc in 2018 in the Department of Physics at Queen's University and through the Cancer Centre of Southeastern Ontario in Kingston, Ontario. His research interests include using machine learning techniques to offer insight into recommended radiation therapies for brain tumour patients. Outside of the lab, David enjoys hiking, camping, cross-country skiing, and amateur astronomy. Laurie Huang, BSc is currently a MSc candidate in the Department of Medical Biophysics. She completed her BSc with honours in Physics at Queen's University (2018). Her work continues the research of Dr. Eli Gibson working on the development of machine learning algorithms for registration of MRI to histology for prostate cancer. Carol Johnson, BSc is a research associate working in the Baines Imaging Laboratory, under the direction of Dr. Aaron Ward. She began working at the LRCP in the Department of Physics in 2007 and later transferred to the Baines Imaging Laboratory in 2013. With an extensive background in programming development and quality assurance procedures, she serves as an invaluable resource to many of the ongoing projects being conducted in the Baines Imaging Laboratory. Carol has demonstrated a successful track record through her development of software used to investigate the impact of planning and delivery uncertainties for radiation therapy. 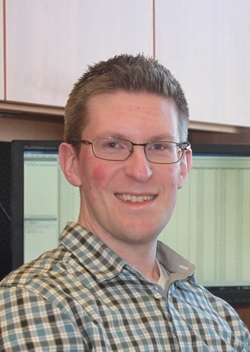 Andrew Warner, MSc is an epidemiologist and biostatistician working as a research associate at the London Regional Cancer Program under the direction of Dr. David Palma since 2011. He has extensive experience in the management of large multi-institutional databases, performing complex statistical modelling and analysis of patient outcomes following radiotherapy. His research focuses on comparative effectiveness analysis of existing radiotherapy techniques for brain, head-and-neck, lung, breast, prostate and metastatic malignancies and the development of patient outcome prediction tools to facilitate patient-physician interaction and clinical trial design. Dr. Peter Martin, PhD completed his PhD in 2018 in the Department of Medical Biophysics at Western University. His research focuses on 3D transrectal ultrasound guided biopsy of the prostate. His project aims to develop a system that will optimize biopsy needle targets within prostatic tumours to account for uncertainties due to guidance system errors, image registration errors and irregular tumour shapes. The hypothesis is that optimized planning of prostate biopsy targets could support earlier diagnosis of prostate cancer while it remains localized to the gland and curable. 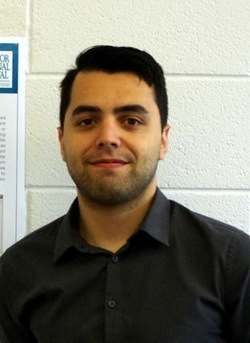 Peter is the recipient of an Ontario Graduate Scholarship (2015), a Canadian Cancer Society Research Institute Travel Award (2015) and an NSERC Alexander Graham Bell Canada Doctoral Graduate Scholarship (2016). His interests include fishing, backpacking, camping, and just about any outdoor activity there is. Sean Pentinga, BSc completed his BSc degree with an Honours Specialization in Astrophysics at Western University in 2018. During his time in the Baines Imaging Laboratory (2016-2017) his research focused on 3D image reconstruction of lung histopathology specimens co-registered with lung computed tomography images. Derek Soetemans, MESc completed his MESc in 2017 in the Department of Biomedical Engineering at Western University. His research focuses on improving MRI interpretation for localizing and characterizing the aggressiveness of prostate cancer. Machine Learning algorithms are used to analyze information obtained by extracting texture features from multi-parametric MRI. His research aims to improve the quality of life for a subset of prostate cancer patients by reducing prostate cancer overtreatment. Derek is the recipient of an NSERC Create Scholarship (2014) and the Imaging Network Ontario (ImNO) Symposium 2nd Place Poster Award (2016). In his spare time he likes to play sports and make music. Dr. Yiwen Xu, PhD completed her PhD in 2017 in the Department of Medical Biophysics at Western University and will be starting a postdoctoral fellowship at Harvard University in June 2017. Her research focuses on the 3D reconstruction of 2D digital histology for high resolution visualization and quantification of vascular components and architecture involving methods of image registration and feature segmentation. Her project aims to perform an accurate, fully automatic 3D reconstruction of mouse hind-limb histology tissue. Yiwen is the recipient of the Alexander Graham Bell Canada Doctoral Graduate Scholarship (2014), the Imaging Network Ontario (ImNO) Symposium 1st Place Poster Award (2014) and SPIE Medical Imaging Student Grant (2014). In her spare time she enjoys reading, painting, and photography. Dr. Sarah Mattonen, PhD completed her PhD in 2016 in the Department of Medical Biophysics at Western University, under the shared supervision of Dr. Aaron Ward and Dr. David Palma. She is currently completing her postdoctoral fellowship in Radiology at Stanford University. She completed her BSc in Medical Radiation Sciences (Radiation Therapy) at the University of Toronto in 2011. Her research involves using radiomics on computed tomography (CT) imaging for the early prediction of recurrence following stereotactic ablative radiotherapy (SABR) for lung cancer. Sarah has received funding from the Natural Sciences and Engineering Research Council of Canada (NSERC) and currently holds an Alexander Graham Bell Doctoral Canada Graduate Scholarship. In her spare time she enjoys being outdoors, listening to music and anything hockey. Dr. Maysam Shahedi, PhD completed his PhD in 2016 in the Department of Biomedical Engineering at Western University. He is currently completing his postdoctoral fellowship at Emory University in Atlanta, Georgia. He received his BSc and MSc degrees in Electrical Engineering from Isfahan University of Technology, in 2003 and 2006 respectively. His research interests include medical imaging and medical image analysis. His PhD project is focused on development of an interactive algorithm for segmentation of the prostate in magnetic resonance images and measurement of accuracy and inter-operator variability. Sachi Elkerton, BSc completed her fourth year of her BSc degree with an Honours Specialization in Physics at Western University in 2017. During her time in the Baines Imaging Laboratory (2015-2016) she assisted in developing machine learning algorithms to automatically differentiate microvasculature structures in mice. Dr. Timothy Yeung, PhD completed his postdoctoral fellowship working in the Baines Imaging Laboratory (2015), under the shared supervision of Dr. Aaron Ward and Dr. George Rodrigues. He is currently employed as a research physicist at Accuray (California). He completed his PhD in Medical Biophysics at Western University and his BSc in Medical Radiation Sciences at the University of Toronto. His research interests during his fellowship focused on the accurate detection of brain tumour recurrences using magnetic resonance imaging (MRI) following stereotactic radiosurgery (SRS). The overall aim of the project was to develop specialized algorithms using advanced texture feature analysis to better characterize tumour phenotypes and thus improve survival rates among patients with brain tumours. In his spare time he enjoys reading and is an accomplished pianist. Mehrnoush Salarian, MSc is currently a research engineer at Sunnybrook Health Sciences Centre in Toronto, Ontario. She completed her MESc in biomedical engineering at Western University (2014) and previously at the Tehran Polytechnic Amirkabir University of Technology, Tehran, Iran. Mehrnoush's research focuses on the development of innovative medical device technologies, medical image processing and algorithm development. In her current role, she successfully designed software to improve image registration accuracy for prostate cancer treatment. Dr. Tharindu De Silva, PhD is currently a postdoctoral fellow at Johns Hopkins University, Baltimore, Maryland. He completed his PhD in biomedical engineering at Western University (2014) and his BSc in electronics and telecommunication from the University of Moratuwa, Sri Lanka. Dr. Lena Gorelick, PhD is currently a research scientist in the Department of Computer Science at Western University. She competed her postdoctoral fellowship at Western University (2014) in the Departments of Computer Science and Medical Biophysics, under the shared supervision of Dr. Olga Veksler, Dr. Yuri Boykov, Dr. Aaron Fenster and Dr. Aaron Ward. Lena completed her PhD in Computer Science and Applied Mathematics (2009) at the Weizmann Institute of Science, Rehovot, Israel. Her research focuses on the development of combinatorial optimization techniques for discrete energies with applications to computer vision and medical imaging problems. Dr. Eli Gibson, PhD is currently a postdoctoral fellow at Radboudumc and University College, London, United Kingdom. He completed his PhD in biomedical engineering at Western University (2013) under the shared supervision of Dr. Aaron Fenster and Dr. Aaron Ward and completed his MASc in computer engineering at Simon Fraser University. He has extensive experience in developing and validating segmentation and registration algorithms for clinical knowledge translation and is proficient in numerous software languages. Eli is the recipient of the NSERC Canadian Master's Graduate Scholarship, the Dean's Convocation Medal for Undergraduate Studies in Applied Science, and the APEGBC Gold Medal for Most Outstanding Graduating Student. Dr. Allison Ashworth, MD, FRCPC is a radiation oncologist at Kingston General Hospital and assistant professor in the Department of Oncology at Queen's University in Kingston, Ontario. She completed a fellowship in stereotactic treatments and clinical trials for oligometastatic cancer at London Health Sciences Centre (2013) under the direction of Dr. David Palma and Dr. George Rodrigues during which time she successfully published a systematic review and an individual patient meta-analysis on the treatment of oligometastatic non-small cell lung cancer. Her research interests include the delivery of stereotactic ablative radiotherapy to lung and gynecological tumours and cancer health services research.